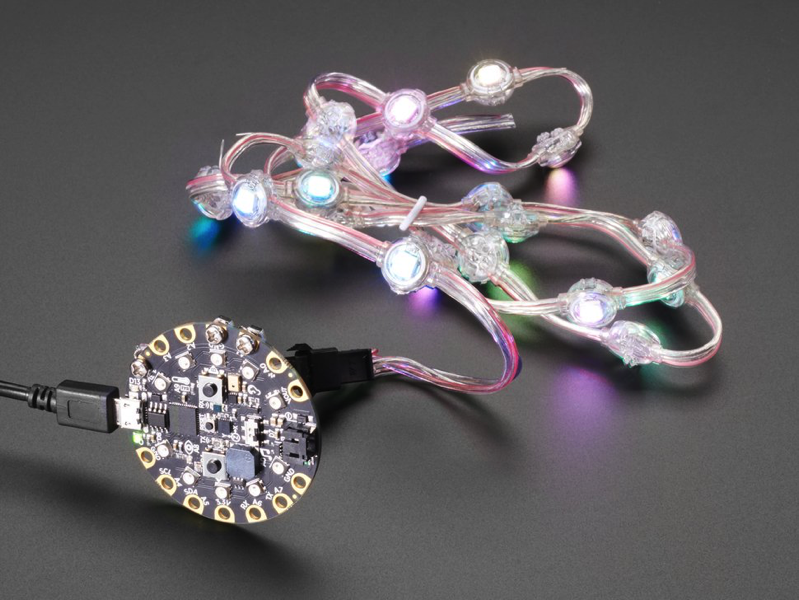 Bolt-On Kit for Circuit Playground, micro:bit, Flora or Gemma: You have a Circuit Playground Express, and want to connect some wires to it for adding LEDs or sensors or speakers? You can use our nice alligator clips, but they are a little bulky. 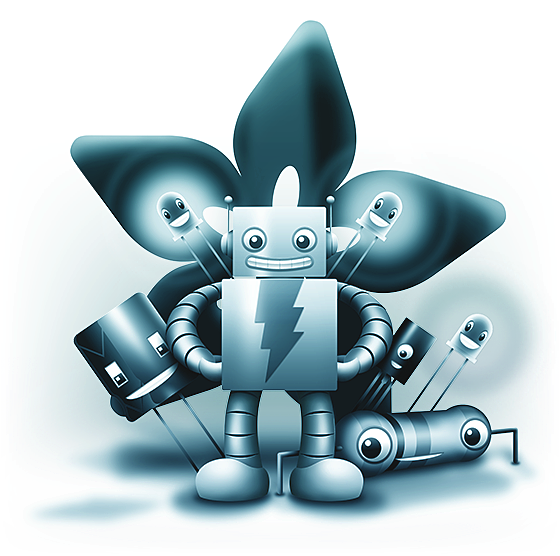 If you aren’t quite ready to solder to your Playground, try this simple but effective bolt kit. 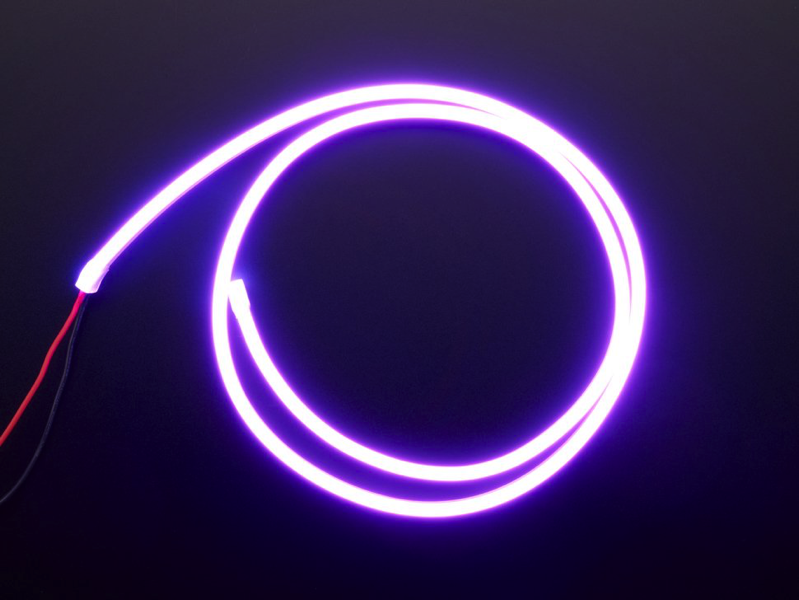 Flexible Silicone Neon-Like LED Strip – 1 Meter – Purple: Here at Adafruit we love discovering new and exotic glowing things. Like moths to the flame, we were intrigued by these fresh Flexible Silicone Neon-Like LED Strips! They look a lot like neon, but without the need for expensive transformers, glass tubing or inert gasses. 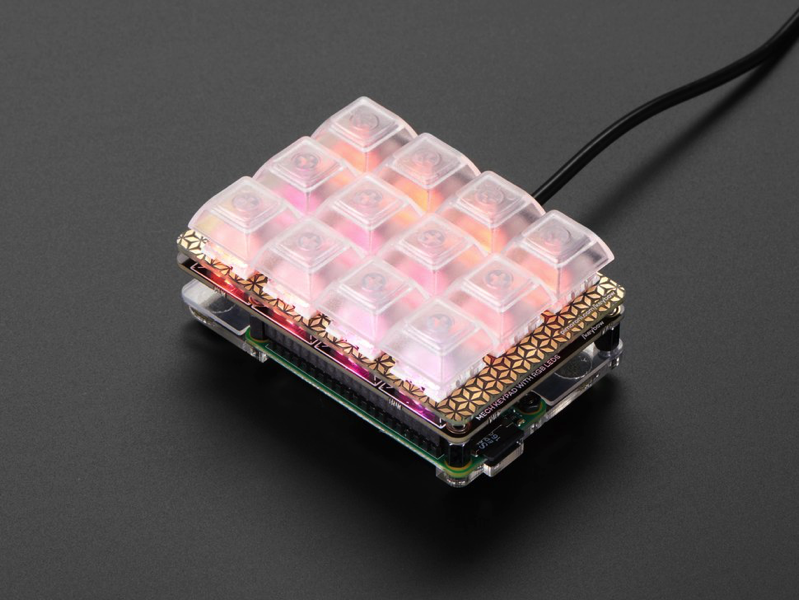 Pimoroni Keybow Mini Mechanical Keyboard Kit with Raspberry Pi – Linear (Soft) Switches: Glow up for keyboards! Pimoroni’s Keybow is a solderless mini mechanical keyboard with super satisfying high-quality clicky switches. The per-key RGB lighting shines brilliantly through the clear DSA-profile key caps, so you get all the incredible LED colors while clickety-clacking away at your coding, hotkey-ing, etc! Keybow is an easy-to-build, solderless, DIY mini mechanical keyboard. It’s Raspberry Pi-powered, with twelve illuminated keys, hot-swap linear (soft) switches, clear keycaps, and awesome customisable layouts and macros. It’s the ultimate macro pad. 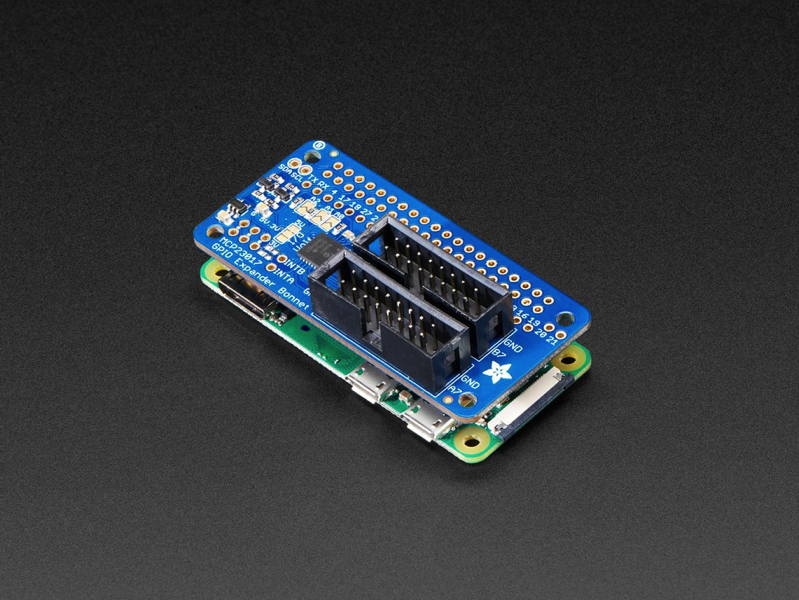 Adafruit GPIO Expander Bonnet – 16 Additional I/O over I2C: The Raspberry Pi is an amazing single board computer – and one of the best parts is that GPIO connector! 40 pins of digital goodness you can twiddle to control LEDs, sensors, buttons, radios, displays – just about any device you can imagine. 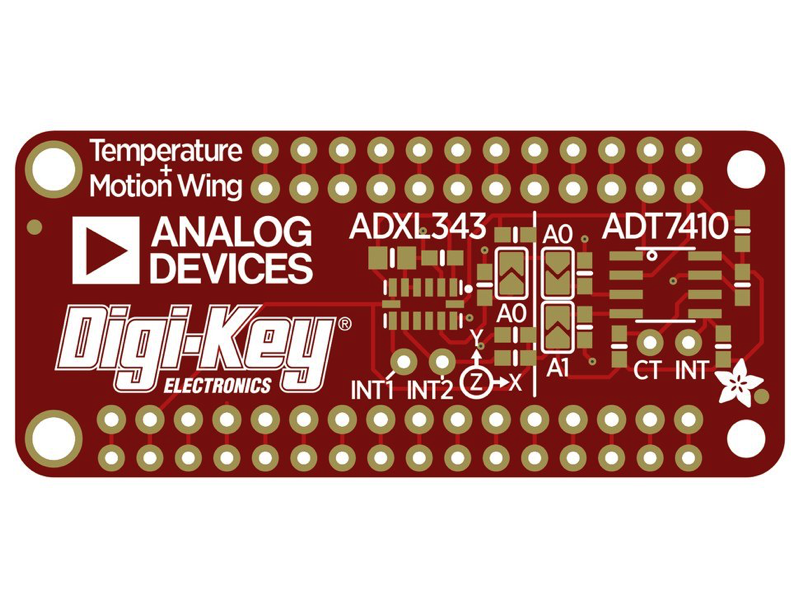 This Adafruit GPIO Expander Bonnet will give you even more digital deliciousness – 16 more digital input/output pins are yours for any desire you have. The outputs are grouped into two 16-pin connectors that have a matching ground pin. You can set each pin to be a digital output (high or low) or as an input, with an internal pull-up if you like! 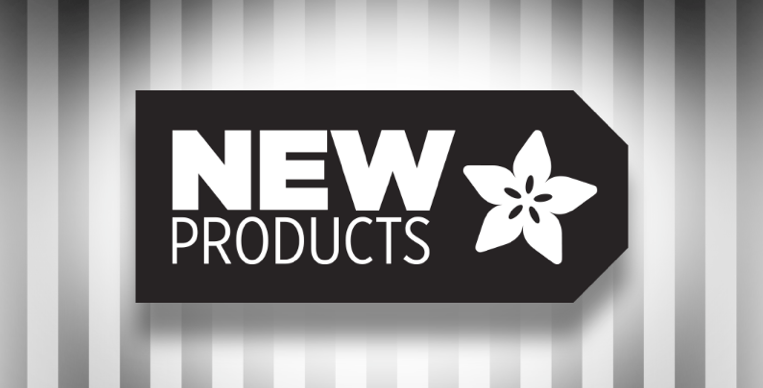 New Products 3/6/19 Featuring Adafruit #GPIO Expander #Bonnet!